Did you know that Disneyland Paris can be not only about rides, shows and kids running around? It can be super fun for adults and young people too – especially with this event they have this summer! So, if you love Disneyland Paris and you also love electronic concerts, this article is for you! If you’re planning to include a trip to Disneyland Paris in your June schedule, then I suggest you go to Disneyland on 29th June and 30th June… at night! Prepare yourself for this, because you’re in for a very special treat! This year Disneyland Paris celebrates a big anniversary – it is 25 years since the opening and they await you with some amazing events, activities and attractions. Electroland is one of them! 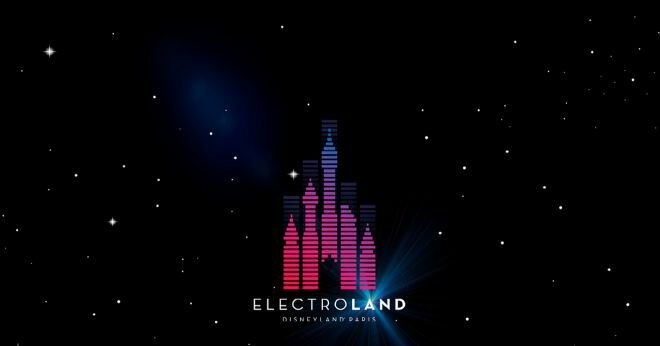 Electroland is a special electro event that will take place at Disneyland Paris on 29th June and 30th June, from 8 PM to 2 AM. This is the second time they organize it (the first time was last year). 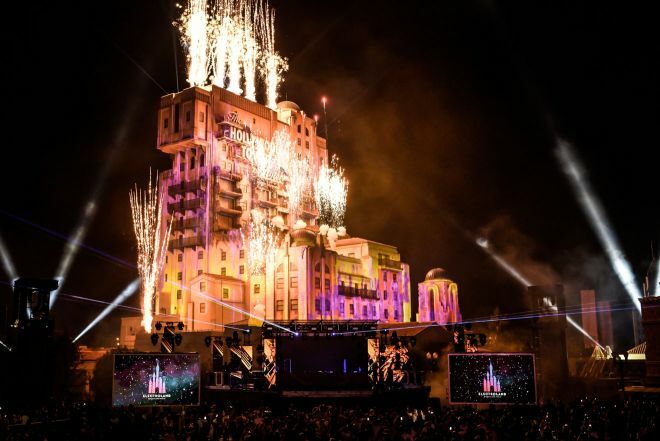 During these two amazing nights, they privatize the Walt Disney Studios Park especially for this occasion and transform it into a unique concert experience. This year’s event will be bigger and better with a great line-up and cool activities! The event’s slogan is “Where Music meets Magic”, so you should expect some epic shows! 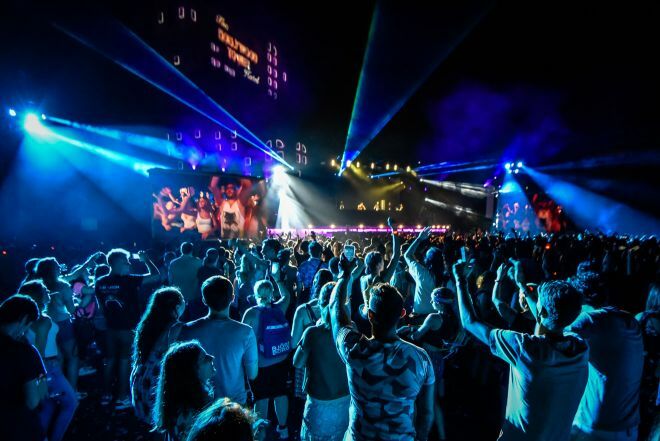 So, if you want to visit all the attractions of the park but also enjoy some concerts by world-renowned DJs, then this is the place to be this summer! The concerts will be organized in front of The Twilight Zone Tower of Terror. If you have already visited Disneyland, you might know that this is one of the scariest rides (at least for me). 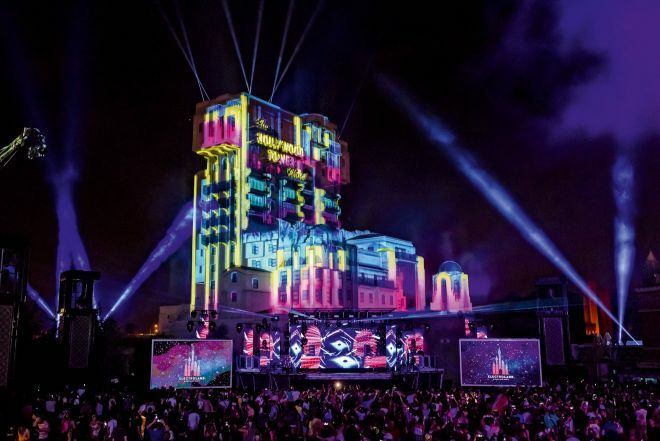 This is a very special event where famous DJs get to perform in a special and unusual place – Walt Disney Studios Park – and you can be there to witness this with your friends, dancing the night away! 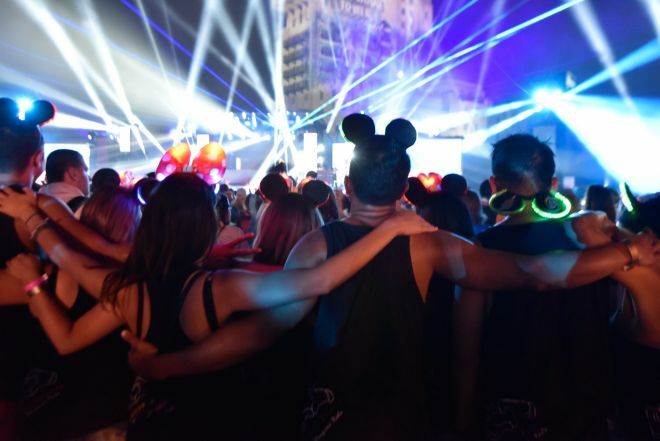 It is not often you the chance to go to an electronic festival in Disneyland, right? As you can see, you’re in for an amazing open-air show with quality performances, lots of dancing and colorful lights! You can dance until after midnight and when you feel tired, you can go around and visit your favorite Disneyland attractions from the park such as Rock ‘n’ Roller Coaster Starring Aerosmith, Crush’s Coaster, Ratatouille: The Adventure, and of course The Twilight Zone Tower of Terror! You will also have access to bars and different food spots in the Walt Disney Studios Park and even shopping opportunities! 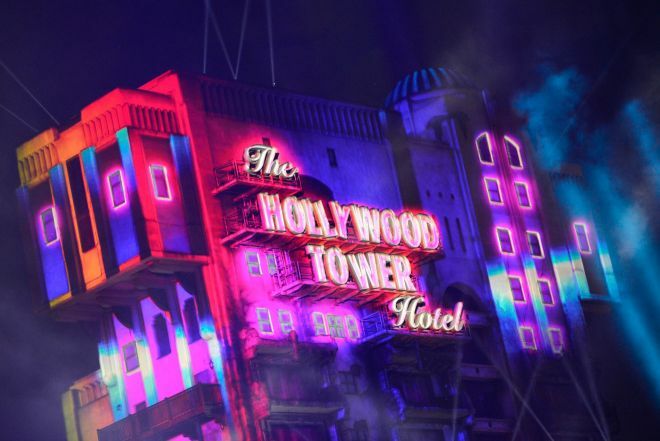 After the sun goes down, the event will also amaze you with a special light show with video projection mapping on the Hollywood Tower Hotel. How cool is that? You can check out the complete details on the official Disneyland Paris website. These DJs will share the iconic outdoor stage of Production Courtyard at Walt Disney Studios Park. Oh and by the way, the Belgian duo Dimitri Vegas & Like Mike are going to perform on Saturday and they’re currently ranking in the top 2 of DJ Mag’s Top 100 DJs list for the 3rd year in a row! Note: Guests can access the park from 8 PM to 2 AM. There’s a special ticket that you can buy if you want early access from 4 PM. You can find all the details down below. There is only a limited amount of tickets available so if your mind is set on this, don’t wait anymore! Tip: There’s a shuttle bus that can take you back to Paris for an extra fee of 16€/person, but you have to book it in advance (an international phone number is 0033160306053). Shuttle buses will depart from Disneyland Paris between 2 A.M. and 2:30 A.M., with stops at Bercy, Châtelet and Concorde. You have to present your confirmation email and a valid ID before departure. Please note the last RER train leaves Disneyland Paris (Marne-la-Vallée/Chessy station) at 00:20 a.m. (subject to change without prior notice). Note: Tickets for the shuttle bus are only available until 8 days before the event. If joining a music festival in Disneyland sounds like your kind of activity, then make sure to book your tickets fast! The places are actually limited to 5k people on Friday and 8.5k people on Saturday. Get ready for an immersive event at Disneyland Paris that will prove you that this park is not only for kids and rollercoasters! If you are interested in finding out more about ticket deals, you can read my article about How to save at least 20€ for your Disneyland tickets! 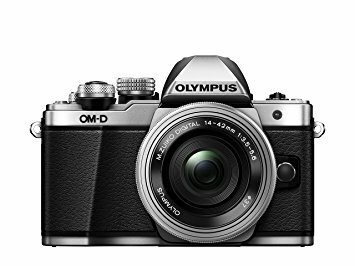 If you have any questions, feel free to tell me in the comments below. 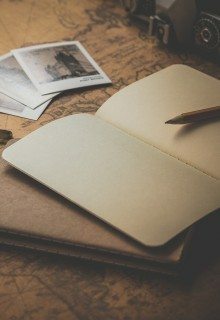 I’m always happy to hear your opinions! Disney’s Enchanted Christmas – A Magical Event In The Winter Of 2018 Disneyland Paris: Join The Lion King And Jungle Festival! (Spring-Summer 2019) Disneyland Paris: Get the new offer for Spring/Summer 2019!